More on the Sanus Natural Foundations 30 inch Speaker Stands (Cherry) NF30C below. 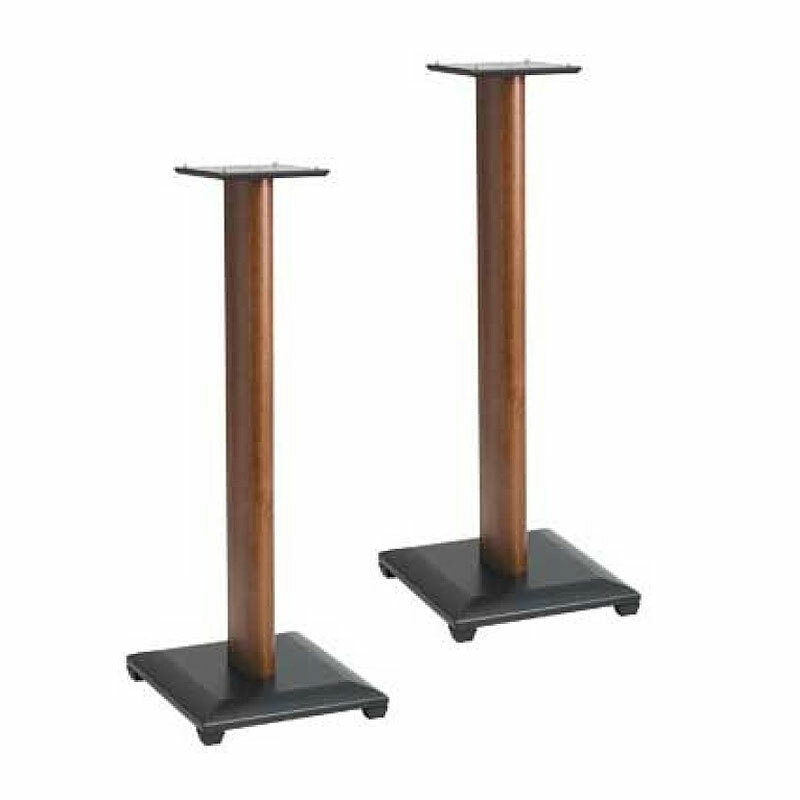 Sanus' "Natural Foundations" series NF-30 is a 30" speaker stand, designed for large bookshelf speakers. 30" height, perfect for medium to large bookshelf speakers. 25 lbs weight capacity each. Black-lacquered, energy-absorbing MDF (Medium Density Fiberboard) base plate. Included adjustable carpet spikes and screw-in polyester feet for ultimate stability. Solid hardwood upright pillar in a cherry finish. Adjustable-height brass studs and neoprene pads for superior isolation and improved resonance dampening. Integrated wire management channel to conceal, protect and organize necessary cables. This product is also available in other finishes from the "Related Products" section below. Top Plate: 6" x 6"